Each of our rooms is unique, and we offer a variety of standard and superior accommodation, suiting single travellers, couples, families or friends travelling together. We are a pet friendly hotel. 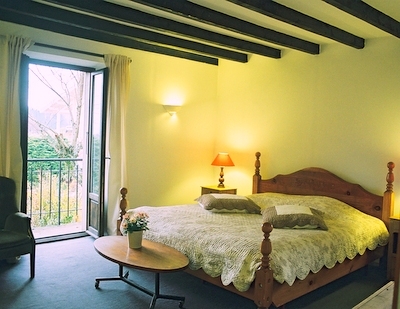 Our superior rooms have the same facilities as our standard rooms (full en-suite including bath with shower over, hairdryers and personally controlled heating), but offer even more luxurious accommodation, with larger rooms, televisions (if requested) and traditional beamed ceilings or access to a balcony. Room 1 (Gentiane) and Room 2 (Azalée) can be combined to form a suite. Our standard rooms offer high quality accommodation with full en-suite facilities, including bath with shower over, hairdryers and personally controlled heating. 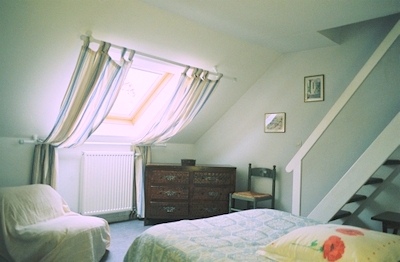 Room 8 (Le Parmelan) is unique and ideal for families, as it has a double bed and above, 3 single beds on a mezzanine level accessed via a staircase.